They got everything here from a diddled-eyed Joe to damned if I know! 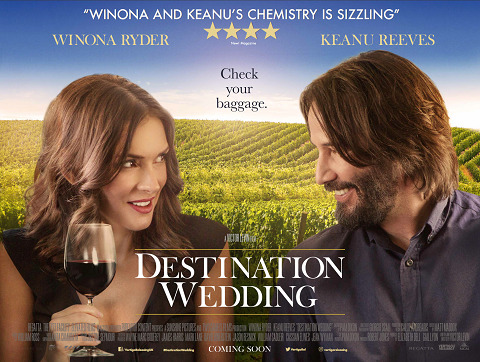 Destination Wedding will close out Scotland's first Keanu Reeves film festival - KeanuCon. Sunday 28th April 2019 at the Centre for Contemporary Art, Glasgow. celebrate the most triumphant Wyld Stallyn himself and trace his career from babe to baba yaga. Frank (yer man Keanu) and Lindsay (Winona Ryder) have a lot in common: they both hate the bride, the groom, the wedding, themselves, and most especially each other. For 72 hours, they are trespassers in paradise. But the weekend's relentless events continually force them together, and if you fight with someone long enough, anything can happen. When the instinct to love proves very difficult to kill, they must decide which is stronger: their hearts or their common sense. To celebrate the Cannes film festival, MUBI will be showing a selection of the most illustrious titles of the past editions of the festival, ranging from the Romanian New Wave to the slow cinema of Lav Diaz, including Amores Perros by Alejandro González Iñárritu (this year's head of the jury), The Angel's Share by Ken Loach and other gems such as Force Majeure, Wild Tales Only God Forgives and We Need to To Talk About Kevin. Neo-noir social thriller WHAT/IF explores the ripple effects of what happens when acceptable people start doing unacceptable things. The first season of the Netflix original series focuses on a mysterious woman's lucrative, but dubious offer to a cash-strapped pair of San Francisco newlyweds. All 10 episodes of WHAT/IF will become available to Netflix members worldwide on May 24, 2019. The Netflix original series WHAT/IF stars Renee Zellweger (Cold Mountain, Jerry Maguire), Jane Levy (Castle Rock, Suburgatory), Blake Jenner (American Animals, Glee), Samantha Ware (Glee), Keith Powers (Famous in Love), Daniella Pineda (Jurassic World: Fallen Kingdom), Juan Castano (Shades of Blue), John Clarence Stewart (Marvel's Luke Cage) & Dave Annable (Brothers & Sisters). "The emotional and physical challenges of making this film have been the most demanding of my career. Ang is pushing the limits to give people an experience in the movie theater that you can't get anywhere else. This is not only an action film, but an exploration of what one's younger self can ultimately teach one’s older self. I'm 50-years-old now, and the irony of becoming 23-year-old Junior in this film is that 23-year-old me wouldn't have been ready for this experience or to take on this role. Our hope is that this story provides something for everyone -- never before seen cinematic wizardry, nuanced, relatable characters and next-level action." 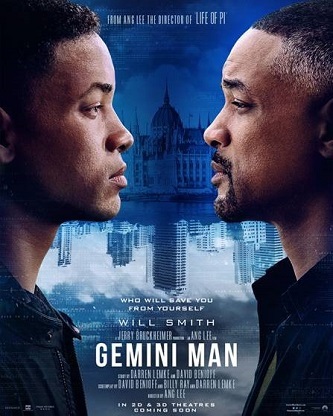 GEMINI MAN OPENS IN THEATRES SOON. Check out the new trailer above. North London based Unrestricted View Film Festival, opens tonight (Tuesday 23rd April) to celebrate a week of independent film for the fourth year running. The award winner's announcement and ceremony will take place at 8pm on Sunday 28th April at festival's hub venue, The Hen & Chickens. "This year, we had more submissions than ever so I'm very grateful to my team for helping me select the final programme which boasts a wealth of talent from across the world, from filmmakers of all levels of experience. Every year, this festival showcases exceptional talent from emerging artists and so selecting the award finalists is always a challenging task. I'm so excited to see what these filmmakers, actors, and creatives go on to achieve in their careers and it's great that UVFF gets to be a part of their journey. 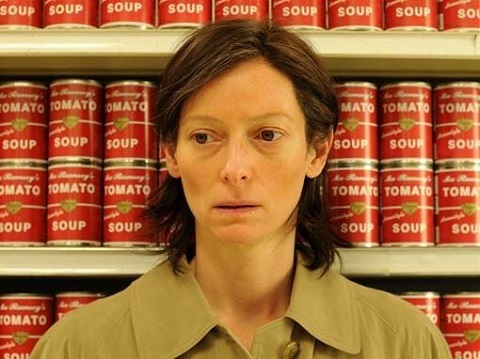 This festival continues to be a wonderful celebration of independent film at its finest." The festival's opening night which will take place tonight at 7pm (doors at 6:30pm) with a screening of the film, Dragonflies Only Live For 24 Hours - one of the finalist films in a number of categories - showing at Everyman's Screen on the Green. Tickets for all shows are available from the link above or on the door. 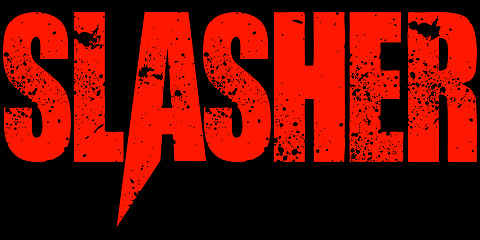 Slasher is coming to Android and iOS devices this May. For the first time ever, the horror community will be able to connect in unique and exciting ways. This NEW social network will bring an all inclusive horror experience right to the palm of your hand. Horror fans should expect the unexpected in features that haven't been available within the community until now. In John Wick, he came back to seek revenge. In John Wick: Chapter 2, he was forced to repay a debt. And now, after grossing a combined total of nearly $300 million at the worldwide box office, The Boogeyman returns for JOHN WICK: CHAPTER 3 - PARABELLUM. In this third instalment of the adrenaline-fueled action franchise, super-assassin John Wick returns with a $14 million price tag on his head and an army of bounty-hunting killers on his trail. 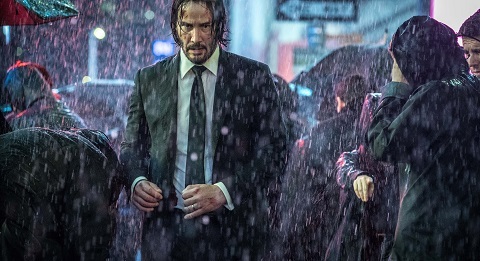 After killing a member of the shadowy international assassin's guild, the High Table, John Wick is excommunicado, but the world's most ruthless hit men and women await his every turn. IN UK CINEMAS ON 15TH MAY 2019. Click the link for a clip. Check out the final trailer at the link above. 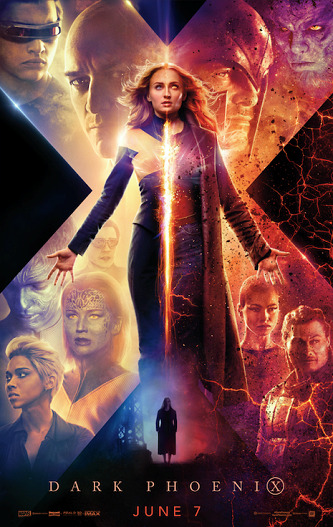 DARK PHOENIX arrives in theaters everywhere on June 7!